Skipper David Witt flew back into Australia only hours before taking Appliancesonline.com.au out onto Sydney Harbour today, with his teammates Tom Anderson and Tom Clout to win Race 3 of the Australian 18ft Skiff Championship. 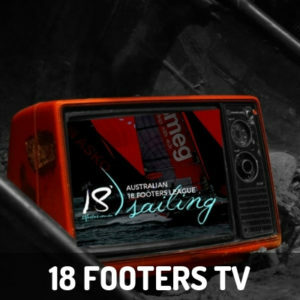 For Witt, it was his first race back in an 18 since he skippered the maxi Scallywag into third place in the recent Sydney-Hobart Race. In an 8-12 knot SSE breeze the race was sailed over a three lap windward-return course set between Taylor Bay and Rose Bay. Appliancesonline.com.au led from the start, but had to fight off an early challenge by Michael Coxon, Trent Barnabas and Dave O’Connor in Thurlow Fisher Lawyers to win by 39s. Smeg (Lee Knapton, Ricky Bridge, Mike McKensey) was a further 1m23s back in third place, followed by Noakes Youth (Ash Rooklyn), Coopers 62-Rag & Famish Hotel (Jack Macartney) and De’Longhi (Simon Nearn). 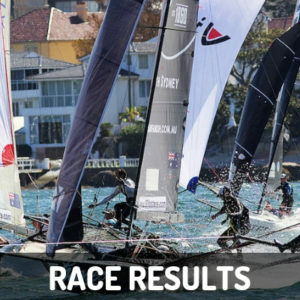 Smeg’s third place in today’s race was enough for the team to retain the championship lead on seven points, followed by Yandoo (John Winning) on 13, Appliancesonline.com.au on 14, Noakes Youth on 17, De’Longhi on 19 and The Kitchen Maker (Stephen Quigley) on 21. 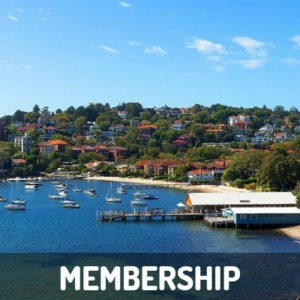 Race four of the Australian Championship will be sailed on Sunday on Sydney Harbour. 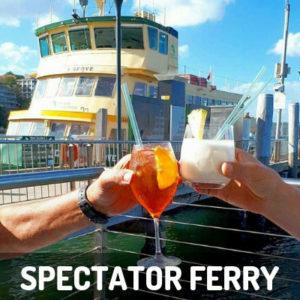 The club’s regular spectator ferry will follow all the action, leaving Double Bay Public Wharf at 2.15pm. We were staying at a hotel a short walk away. This is a private club but you can access for dinner if you don’t live within 5km I believe. 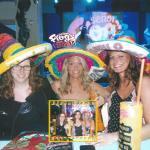 The staff graciously welcomed us and we had a great dinner.